Stop in our Winkler Store to check out our End of Winter Sale! 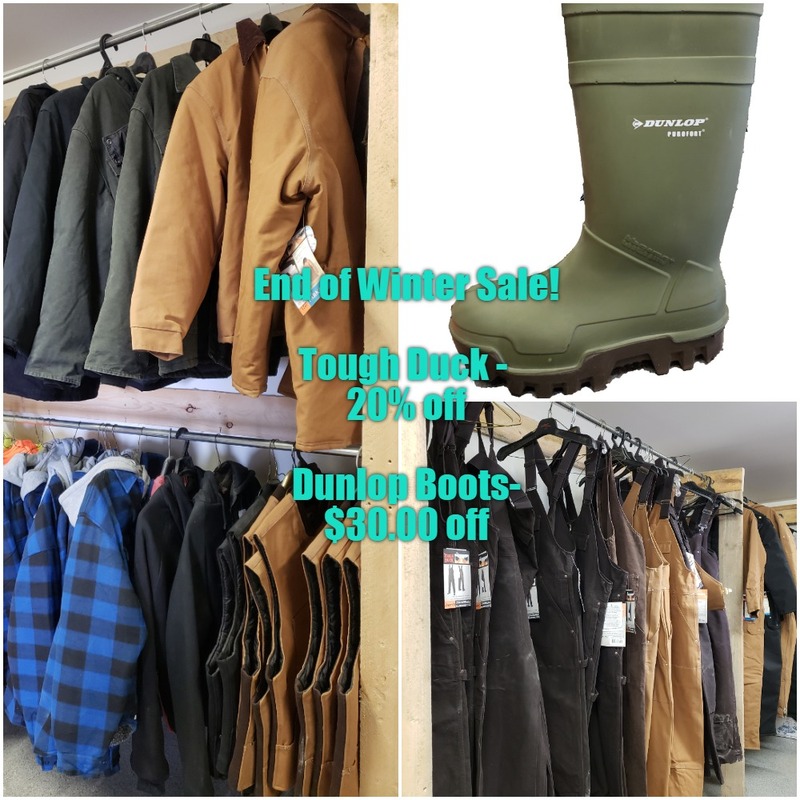 All in-stock Tough Duck is 20% off! Dunlop winter boots are $30.00 off!